Yon koudèy sou pi bel foto kap domine aktyalite a nan mond laA look at the best news photos from around the world. 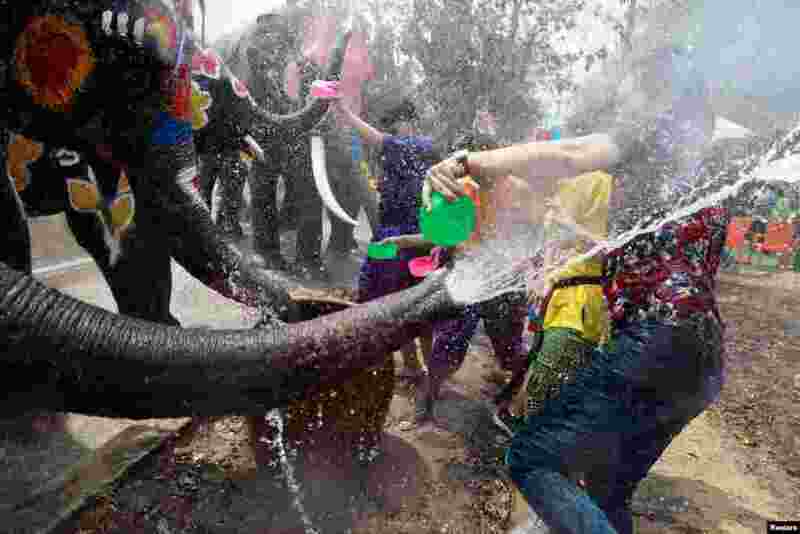 5 Elephants and people play with water as part of celebrations for the water festival of Songkran, which marks the start of the Thai New Year in Ayutthaya, Thailand. 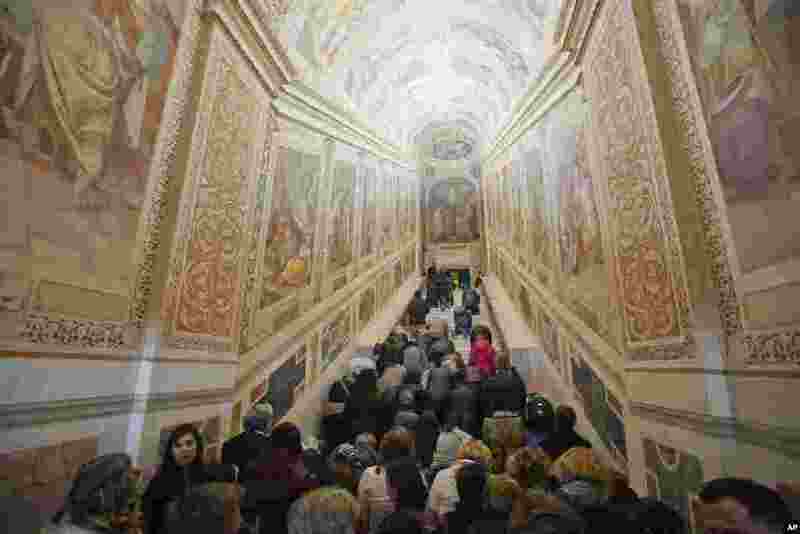 6 Faithful kneel on the newly restored Holy Stairs (Scala Sancta), which according to Catholic Church is the stair on which Jesus Christ stepped leading on his way to the crucifixion, during a special opening, in Rome, Italy. 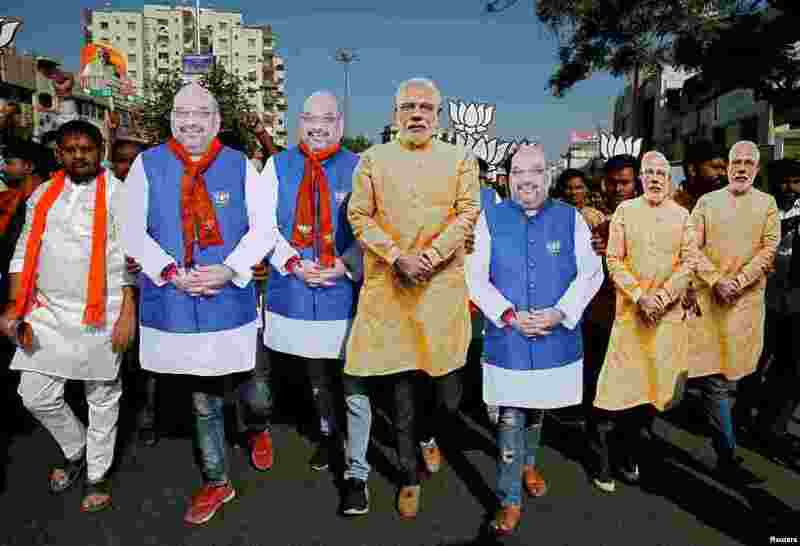 7 Supporter of India's ruling Bharatiya Janata Party (BJP) wearing cut-outs of Prime Minister Narendra Modi and the party president Amit Shah walk during an election campaign in Ahmedabad. 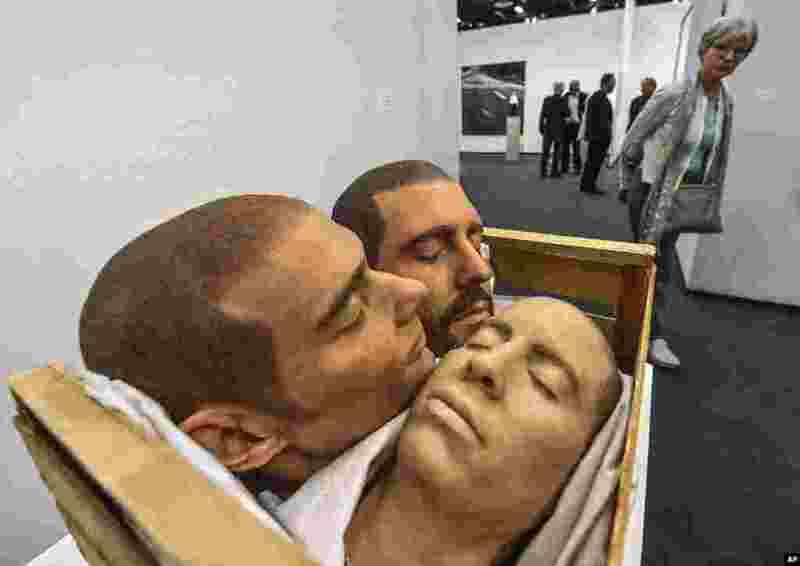 8 A visitor looks at the artwork 'Strange Fruit' by artist Gil Shachar at the Art Cologne fair in Cologne, Germany.